Grasso Law Firm, P.C. was founded almost 20 years ago as a small group of lawyers dedicated to providing the best possible legal representation to the firm’s clients. By design, the firm has remained small – made up of a cohesive and extraordinarily talented team of experienced lawyers. Each lawyer at the firm has individually achieved high levels of academic and professional accomplishment; however, our team as a whole is greater than the sum of its parts. By collaborating as a team, we are able to achieve the best possible results for the firm’s clients. Our experience and professional integrity has earned us the highest level of respect from clients, judges, and other law firms throughout the State of Arizona. Since its beginnings, the firm has been listed in the Martindale-Hubbell® Bar Register of Preeminent Lawyers™. 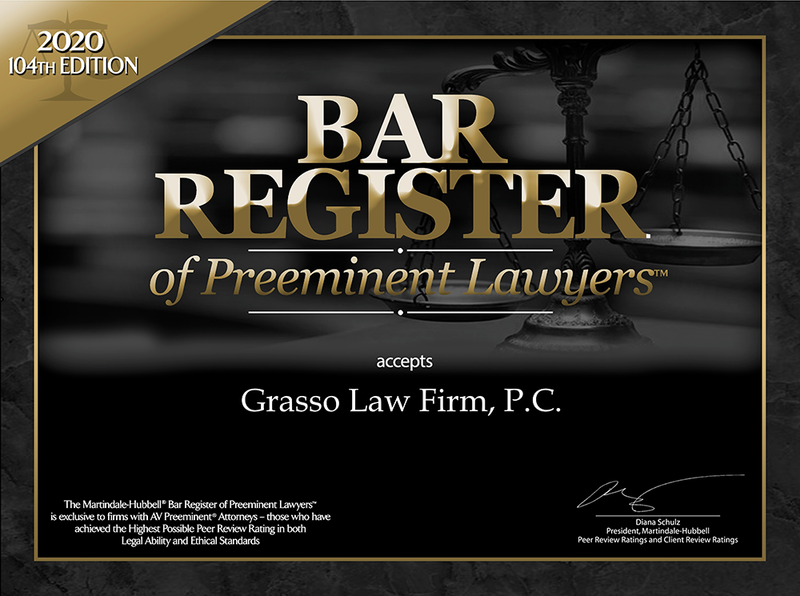 Our firm is led by its founder, Robert Grasso, Jr. Mr. Grasso has substantial (over 25 years) jury trial experience, having secured numerous successful verdicts in difficult cases with high, multi-million dollar exposure. Mr. Grasso is AV®-rated (the highest possible rating for legal ability and ethics) by Martindale-Hubbell, the oldest and most prestigious lawyer rating service in the United States. Mr. Grasso has been selected to the Arizona Super Lawyers list in 2015, 2016, 2017 and 2018. Each year, no more than five percent of lawyers in the state are selected by the research team at Super Lawyers to receive this honor.